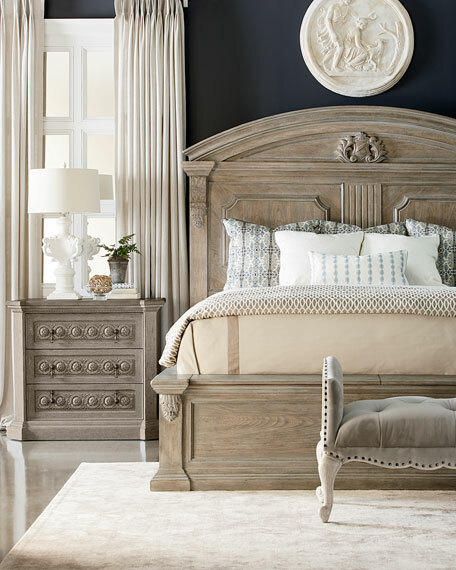 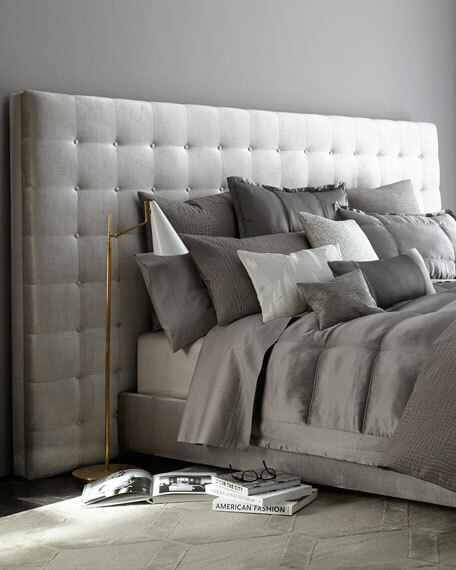 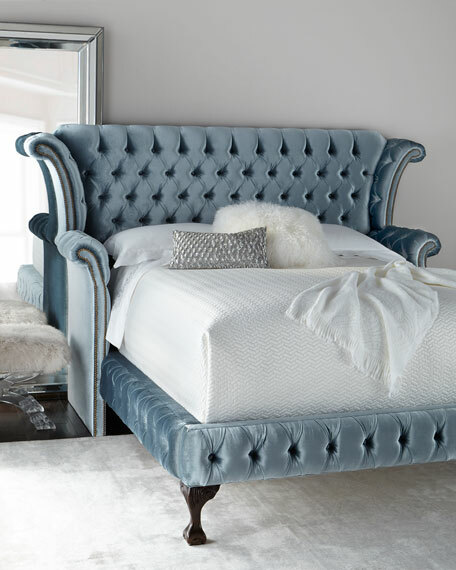 The generously scaled bed constructed of parawood solids and cathedral elm veneers, has a curved pediment, deep molding, a carved heraldic shield cartouche, and carved corbels and acanthus leaf motifs. 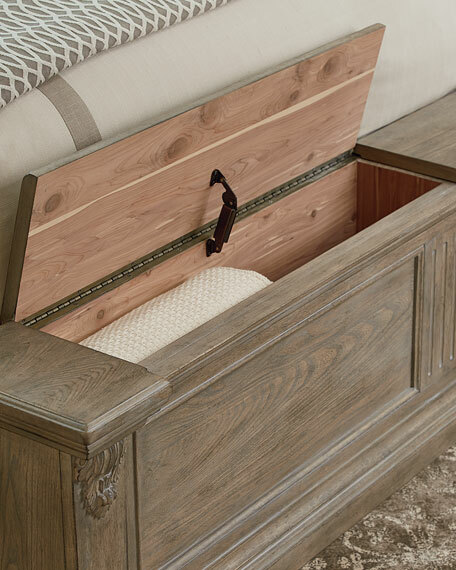 The broad footboard opens to reveal a cedar-lined storage chest. 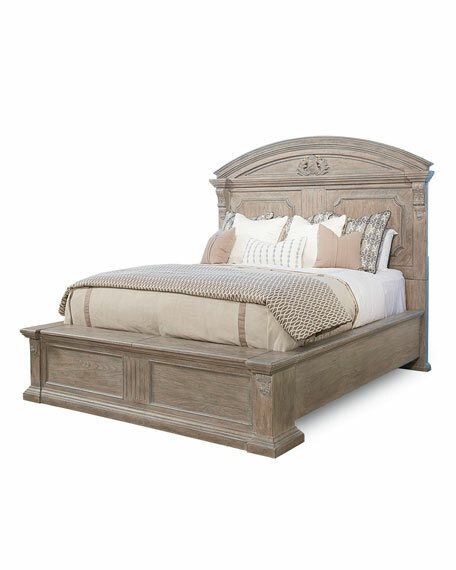 75.5"W x 100.8"D x 76"T.
Hardwood solids and cathedral elm veneers.